This book explains why proposals are such a pain and what to do about it. It shows how to get past the fear of a blank page and the best way to accelerate your efforts. It shows you how to get your proposal right on the first draft, without endless review and re-writing cycles. It lays out the sophisticated methodology from the MustWin Process in PropLIBRARY and then shows you how to cheat. It makes it both feasible and realistic to plan your proposal before writing it. It even discusses how the methodology can be tailored to different proposal management styles, corporate environments, and individual circumstances. It's full of useful information on topics like constructing proposal outlines, how to word your headings, what a "compliance matrix" is and how to create one, and more. 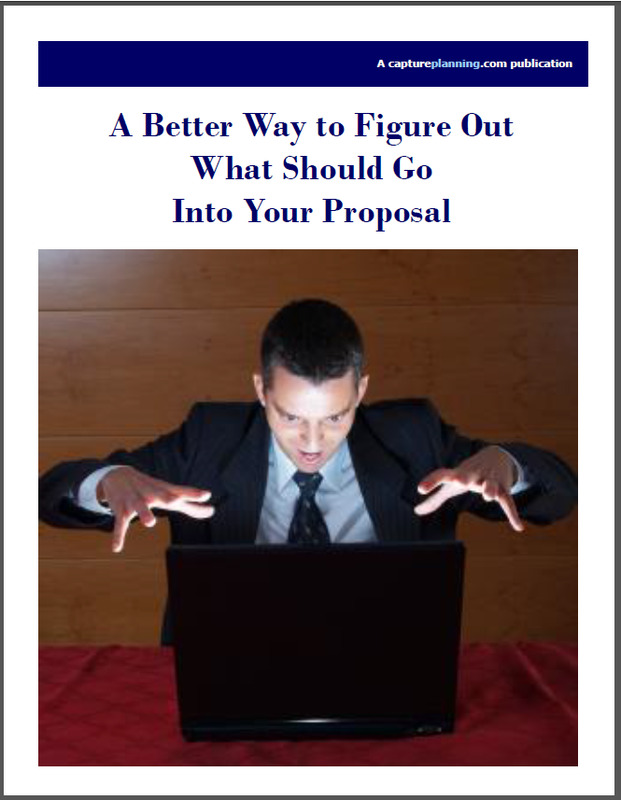 It will not only accelerate your efforts, it will show you how to create better proposals.